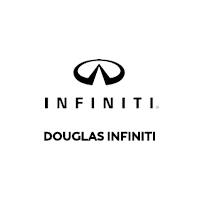 When you’re searching for sleek new cars for sale in Summit, New Jersey, Douglas INFINITI has the selection for you. Climb behind the wheel of a new INFINITI Q50 and enjoy luxurious amenities at your fingertips. For even more cabin space, the INFINITI QX50 and the INFINITI QX60 crossovers make nice additions to any garage. If you’re interested in a pre-owned vehicle, browse our selections of used cars for sale and certified used cars for sale at our used car dealership. Before qualifying for our certified pre-owned (CPO) inventory at Douglas INFINITI, every vehicle has to pass a thorough inspection. So when you choose a CPO INFINITI, you can trust you’re getting a quality vehicle at a great value. The professionals in our finance center can walk you through the buying or leasing process once you’ve found the right INFINITI. When your vehicle requires repairs or maintenance, seek INFINITI service to keep it running efficiently, and use the service coupons we offer to receive discounts on a range of vehicle services. Contact us by calling (800) 914-3406 if you have questions, or visit our dealership on Morris Ave in Summit, NJ.